Is it that men don’t want to marry or they are just intimidated by some ladies? 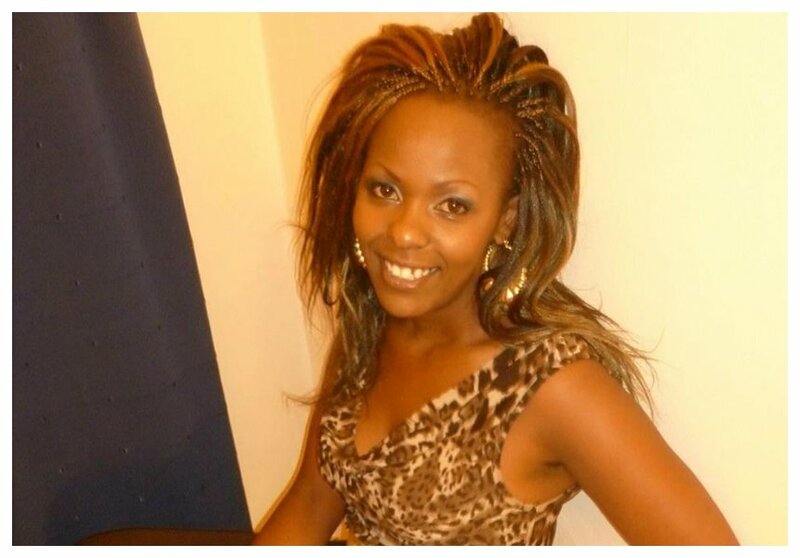 Beautiful ladies like Victoria Rubadiri and Kingwa Kamencu are still single and we have men in this country! In a recent interview with Yvonne Aoll, Victoria revealed she was open to dating even though men are not approaching her to ask her out for a date. 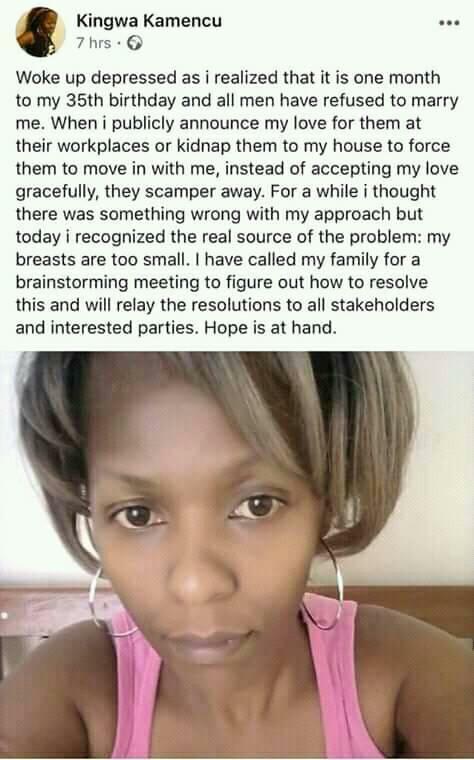 Kingwa Kamencu shares the same plight like Victoria Rubadiri, the former presidential candidate says men have refused to marry her. Taking to social media to express her frustrations, Kingwa reveals that it’s only a month till she turns 35 yet she is yet to find her rib. “Woke up depressed as i realized that it is one month to my 35th birthday and all men have refused to marry me. When i publicly announce my love for them at their workplaces or kidnap them to my house to force them to move in with me, instead of accepting my love gracefully, they scamper away. For a while i thought there was something wrong with my approach but today i recognized the real source of the problem: my breasts are too small. I have called my family for a brainstorming meeting to figure out how to resolve this and will relay the resolutions to all stakeholders and interested parties. Hope is at hand,” wrote Kingwa Kamencu.